If you are a bachelor or someone who is new to cooking and want to eat home cooked healthy food, these recipes will help you decide your weekly menu. I have had friends who did not like eating office cafeteria food everyday but they also could not afford to spend a lot of time preparing lunch or dinner. 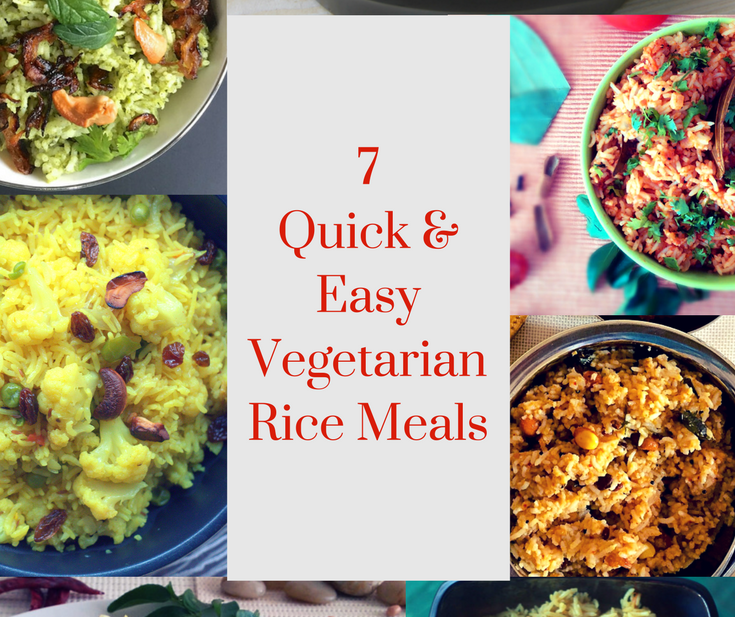 These rice recipes are quick, each one has a different flavour and are nutritious. Coupled with a quick cucumber tomato raita these are a complete meal by themselves. My fellow Bloggers Sujata Shukla ( http://www.pepperonpizza.com/ ), Sundari Giri ( http://www.ladlesandspoons.com/) , Teena Augustine (http://ooonuready.com/) and I got together to do these recipes for a special cause. We are all part of H.U.G. – Humane Universal Good Deed Network . H.U.G is a citizen movement group & comprises of a diverse group of professionals from various disciplines who are all inspired to contribute and participate in creating good change. 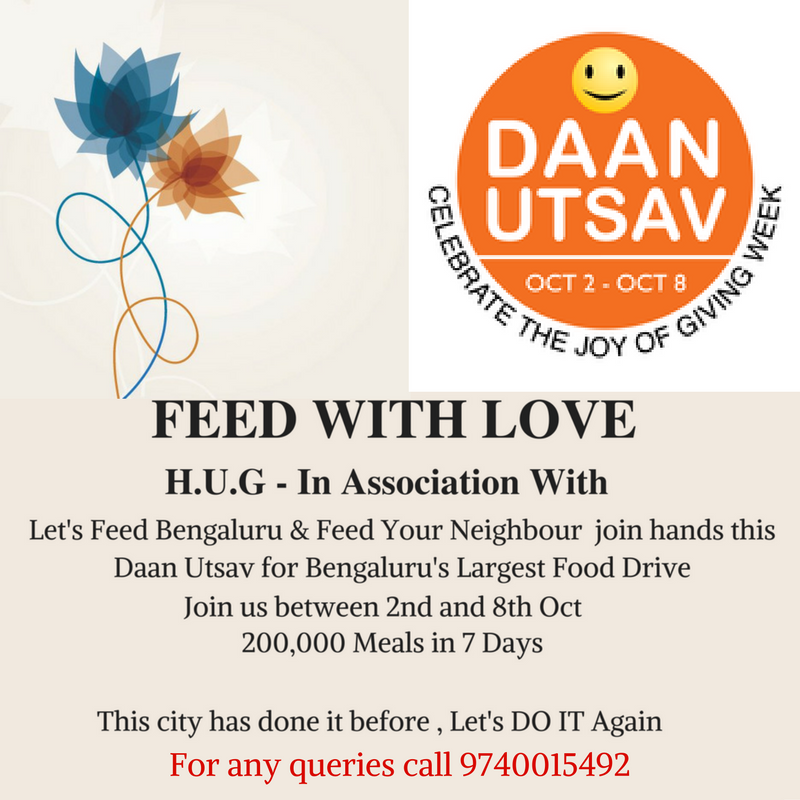 The Good Deeds Network aligns itself with education and empowerment, hunger management & environment related issues. H.U.G mobilized meals to 25,000+ beneficiaries and is working towards a sustainable path to end hunger-one meal at a time. For those who want to cook , we came up with a menu, such that there is uniformity in the meals that we serve across the city. While deciding the menu we kept in mind nutrition, variance in flavour, ease in cooking larger quantities, easily available ingredients. We thought of doing a vegetable Pulao on October 2nd, as it is a holiday and we will have extra time at hand to wash , clean & cut the vegetables. A protein packed complete meal. Soya chunks are a rich source of protein .A good option to carry as lunch to work or school. Rice Flavoured with Mint is not only appetising as it has a different colour, but mint also adds a distinct flavour to the rice. Dal Pulao is a wholesome meal in itself. Instead of making Dal and Rice separately, this is a good option to make a one pot dry meal. 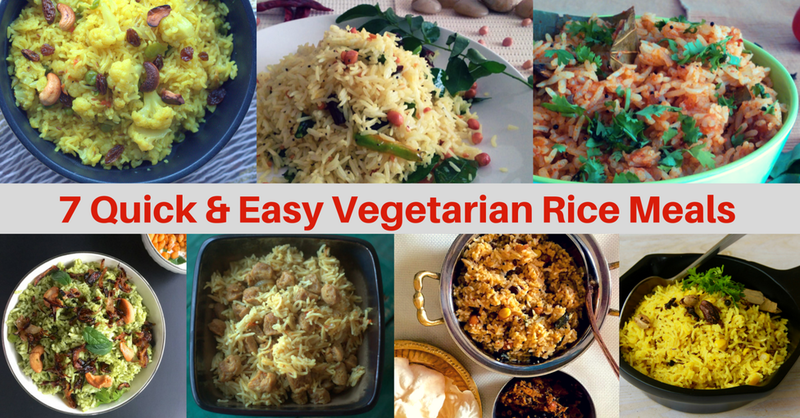 No need to pack Dal & Rice separately, easy to pack and eat, too. Lemon Rice used to be my favourite option in my Lunch Box. Adding Peanuts not only adds crunch but also adds nutrition and makes the rice a wholesome meal. Having spent most of my life in North India I was not even aware of Tamarind Rice. I had it for the first time as a Prasad served in a temple. This tangy and spicy rice is easy and quick to make. If you like this post please show your support by clicking on the little heart below and if you would like to get notified whenever I post something new, please follow the blog. You will also find us on Facebook, Pinterest & Twitter. Thank you dear for this compilation and the write up is good. 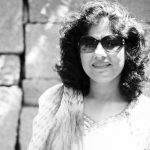 Thank you so much Sundari for your contributions !!! Hugs ! !